RTI Properties Inc. is a ‘Full-Service’ solution of property management specializing in managing apartments, single family homes and commercial properties in Long Beach, CA while providing value added services in listing rental properties. The reputation, insight and expertise of our Long Beach property management professionals is a standard of our client-focused approach, expert local knowledge and satisfactory customer experience. We are providing benefits to hundreds of Long Beach property owners holding residential units and availing the maximum return of their investments, while keeping expenses low. The laws of managing properties is always changing, so you can count on RTI Properties Long Beach Property Managers knowing that we handle all aspects of your property management that meet the needs of the property owners and the tenants. Whether you are owning single-family or multi-family units, high-storeyed apartment buildings or commercial complexes, we are here to help you realize all of your property management goals by reducing vacancies and improving cash flow and efficiency of your Long Beach property. RTI Properties act in the best interest of our apartment owners by running a credit check on prospective tenants for possible records of past conviction, eviction, or delinquencies. 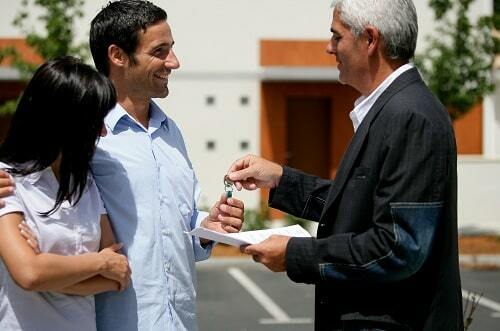 Besides, we also verify landlord references to suit the requirements of our clients. We follow a detailed procedure for screening all interested prospective tenants and choose only the quality long term tenants to occupy the vacant properties. We oversee the renewals of lease contracts to ensure collection as at when due and act promptly and according to the law regarding defaults and violations. We ensure prompt payment of all essential utilities, maintain and repair the apartment properties to prevent the property from falling into disrepair. We take off the burden of management from apartment owners by ensuring that mortgages, mandatory fees, and taxes are monitored and paid as at when due. We hire and manage suitable vendors for helping out with necessary tasks such as maintenance of our clients’ apartments we are managing. We have a team of accounting experts in charge of managing budgets, maintenance, and records. We follow due care in analyzing all the risk factors involved in managing apartment properties and ensure to mitigate all risk liabilities involved without passing any to the apartment owners. RTI Properties Inc. don’t just manage apartment buildings, we also specializes in comprehensive management services for owners of residential properties in Long Beach, CA including single-family dwellings. Our Long Beach Property Managers are here to cover every single responsibility from tenant screening to collecting rent to full property management services. We manage and cater to our clients’ properties effectively to keep the properties in good physical condition and provide property owners with the maximum return possible. In addition, we handle all of the administrative and vital financial tasks that stimulate residential property value. Whatever you need, we can customize our services to meet your need. Contact us today to get the peace of mind, you’ve been looking for managing your residential units. Long Beach, CA commercial property market is extremely diverse, and includes a wide variety of detached retail complexes, warehouses and office buildings. All commercial property owners require those management skills that ensure smooth day-to-day operation and ongoing financial success, and managing these properties is really challenging. At RTI Properties, we offer a ‘Full-service’ suite of commercial property management for property owners that guarantee the best results. Helping you to stay ahead of the competition is our forte. And we achieve this by regular analysis of the market, upgrade of your property’s status, and keeping your property in an excellent condition. 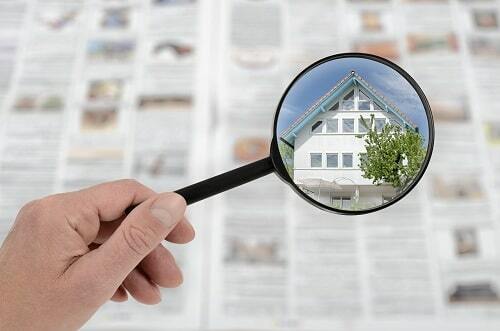 To keep clients’ properties in top structural and aesthetic conditions, we carry out scheduled property inspections to evaluate the conditions of the properties and ask for tenants’ experience with the properties. We ensure that all the vacant spaces or units in your office property are occupied with suitable, verified tenants. You can rest assured of maximum return from your commercial property. We monitor all lease contracts and ensure collection of rents as at when due. In case of violations, we take appropriate steps to prevent loss of revenue for our clients. We professionally create an attractive online property profile for your property to make it appealing and stand out from the rest to attract the most qualified and suitable tenants for highest return possible. We are committed to ensuring that clients’ properties are properly maintained as well as carry out necessary repairs to keep the building in top conditions structurally and aesthetically. We associate with top area vendors and contractors which make it possible for us to hire trusted providers who share our emphasis on quality and value for money spent. RT Properties use well-targeted marketing strategy and approach to reach the right prospective tenants to occupy our clients’ commercial properties. 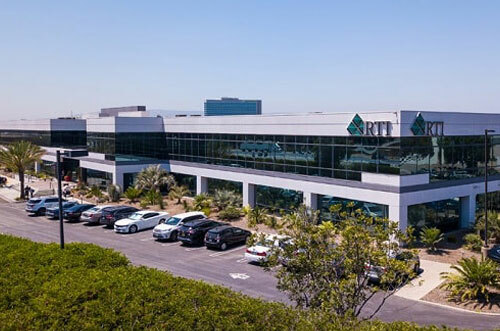 RTI properties is the leading property management companies in Long Beach providing every aspect of management to keep the tenants happy and satisfied while still protecting the interests of the property owners and their valuable property. With more than three decades of experience in managing property, we understand how valuable is each tenant to any property. Our team ensures the entire leasing processes as hassle free and get completed as soon as possible for all our clients. Consequently, prospective tenants who are interested in moving to the Long Beach area can do so without any complicated procedures or humongous paperwork. From introducing the property to tenants through the screening process to our 24*7 emergency maintenance program, our highly trained staff is dedicated to meet the needs of both the prospective tenants and current residents. We have an online resident web portal for each resident and we respond without any delay. Our effective property management services for prospective tenants and residents make the tenants feel the rental property their home by ensuring that property is in top structural and aesthetic conditions as well. The Long Beach rental properties are in high demand and market is going strong with rental rates up significantly from last year’s rates. More than half of the homes in the city are Long Beach rentals and the remaining properties are owner-occupied. Long Beach, CA Apartments for rent ranges has continued to rise over the past decade and this rising trend makes Long Beach as one of the most expensive rental market in the United States and most appealing investment destination for real estate buyers. However, getting profit from these properties in such a competitive market is very challenging which raise the need to partner with property management companies in Long Beach. Having a Long Beach property management company manage your rental property will help to protect your investment and lower your costs, besides looking after your tenants needs as well as the needs of your property. It will also help you maximize your income without interrupting your daily life. Learn more about Long Beach, CA Real Estate and Rental Market Trends. Do I need a Long Beach Property Management Company? Having a real estate property in a tight market like Long Beach, CA and managing on its own will add tedious tasks to your plate and can be disappointing to a financial portfolio. A competent property management company in Long Beach, CA can add significant value to your investment by employing professionals with the appropriate management skills and knowledge for the market, the clients, and the property types. Getting a partner with the RTI Properties will let you free from many of the hassles of owning a rental property and may yield many benefits to your property besides saving your money in the long run. We strive to provide an unmatched experience so that property owners in Long Beach feel like they have found someone they can rely on. Long Beach within the Greater Los Angeles Area of Southern California is a city on the Pacific Coast of US. It has a population of 469,793 and considers as the 38th largest city in the United States and the 7th populous in California. However, the popular density of it is 9,339 per sq. mi which is approx. 3919% higher than California. Boeing (aircraft production facility) is the city’s largest employer. The city is known as the “International City.” It is a home of the world’s largest shipping ports with diverse populations. Whether it is vibrant downtown or the shoreline areas to the lively restaurants, bars, everything had its own beauty and filled with attraction. The most highlighted charms include The Aquarium of the Pacific, The Museum of Latin, The Long Beach Museum of Art, The Queen Mary, and more. The median home value in the Long Beach is $552,700. The costs of a home have gone up approx. 6.8% over the past year. Long Beach has 173,040 housing units, and the average rent of a beautiful apartment in Long Beach is $1,876. The average size for an apartment in Long Beach is 799 square feet, but this could vary greatly depending on the type of residence. If you want to enjoy the most affordable living, then Long Beach is your dream city. We have a reputation for excellence and more than 30 years of experience. 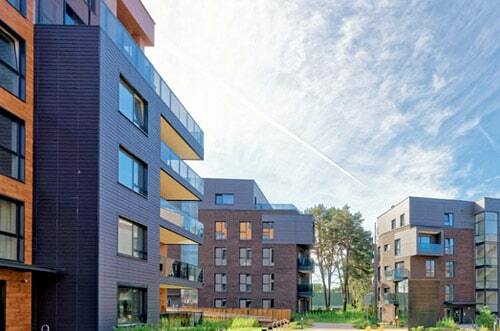 We have an extensive network to reach a large number of prospective tenants to occupy clients’ properties. We record the lowest rate of vacancy because all our clients’ commercial and residential properties are almost always occupied with well-paying tenants. We use strategic marketing methods to advertise clients’ commercial and residential properties for the best exposure and reach possible. We ensure that clients’ properties are well-maintained, renovated, and upgraded to meet the standard in the industry and the requirements of prospective tenants. With RTI Properties handling your property, the value of your property will, undoubtedly, be enhanced. We have an in-depth understanding of the industry and the applicable laws to let you enjoy reduced taxation and have maximum income for your property. We comply with all legal agreement and take the necessary measures to enforce the rule guiding all contracts. We have a team of legal practitioners who counsel us regarding all legal matters and handle our legal issues. We create personalized online resident portal access for each tenant for smooth and seamless communication. If you own properties in Long Beach, CA then you need to partner with RTI Properties Inc. Our Long Beach Property Management services covers all aspects of property maintenance in Long Beach to help you achieve your vision. Contact us today or Call us now at (310) 532-5470 to see how it becomes so easy for you when we start managing your Long Beach, CA property!